In this tutorial, we will learn how inspect Kubernetes Networking on an Alibaba Cloud Elastic Compute Service (ECS) instance with Ubuntu 16.04. By Ghulam Qadir, Alibaba Cloud Tech Share Author. Tech Share is Alibaba Cloud's incentive program to encourage the sharing of technical knowledge and best practices within the cloud community. 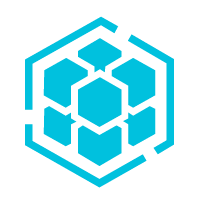 Master Node: This is the node which manages worker nodes in a cluster and controls the deployment of pods. 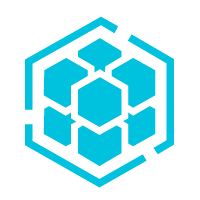 Worker Node: These servers typically run the application containers (in Pods) and other Kubernetes components such as proxies. Service: A service functions as a proxy to replicated pods and service requests can be load balanced across pods. Pod: The basic object for deployments in Kubernetes. Each pod has its own IP address and can contain one or more containers. Other important system components which Kubernetes deploys include the API Server, Kubelet, and etcd. All containers can communicate with all other containers without NAT. All nodes can communicate with all containers (and vice versa) without NAT. The IP a container sees itself as is the same IP which others see it as. In actuality, Kubernetes doesn't manage individual containers. Kubernetes manages pods. A pod is defined as one or more containers which make up a service offering. So if you have a Java app using Spring Boot that has no hard dependencies, then that could be a single container pod. If you also require a container running an NGINX reverse proxy for SSL termination and a container running MariaDB to make the Java app run, those three containers would make up a pod—The idea being if any member of the pod fails, Kubernetes will shut it down, and based on the rules you put in place, replace the entire pod with a new one. Kubernetes really shines at scale when there are multiple copies of each pod running with multiple hosts in the mix to handle the client traffic or availability requirements that are defined. To expose all the instances of a pod to the outside world, or to evenly distribute traffic from internal clients, they are grouped together as a service, which is load-balanced and managed by Kubernetes. Kubernetes is happy to hand over control of network management to a third-party network implementation. That implementation needs to leverage the Kubernetes Container Network Interface (CNI) plugin framework. By leveraging this framework, replacing the entire underpinning networking infrastructure can be as straightforward as running a single command line. Each of the drop-in replacements offer their own benefits and downfalls. kubenet backed by Kubernetes - A basic networking plugin that only handles container networking at the host level. It is often used when running on a cloud provider that will handle routing the IPs to the host (for example, when using Google Compute Engine (GCE) to map individual subnets to the VMs running on the platform). Contrail backed by Juniper - Contrail is the commercial offering of OpenContrail. Contrail is a truly open networking platform built around essential networking standards which can integrate across multiple cloud platforms and container orchestration engines. Flannel backed by CoreOS - A simple networking plugin for Kubernetes that satisfies all the core principles which Kubernetes outlines, including routing between nodes. Open VSwitch - Originally by Nicira, and used as the base for NSX, OpenVSwitch is a full-featured, software-defined networking platform which is more complicated than other options, and is backed by several large technology firms including VMware and HPE. Project Calico backed by Tigera - From Kubernetes.io: Calico provides a highly scalable networking and network policy solution for connecting Kubernetes pods based on the same IP networking principles as the Internet. Calico can be deployed without encapsulation or overlays to provide high-performance, high-scale data center networking. Calico also provides fine-grained, intent-based network security policy for Kubernetes pods via its distributed firewall. Calico can also be run in policy enforcement mode in conjunction with other networking solutions such as Flannel (aka canal), or native GCE networking. You must have Alibaba Cloud Elastic Compute Service (ECS) activated. If you are a new user, you can enjoy the Free Trial worth $300 in your Alibaba Cloud account. If you don't know about how to setup your ECS instance, you can refer to this tutorial or check quick-start guide. You should setup your server's hostname, and have access to VNC console in your Alibaba Cloud or SSH client installed in your PC. After completing the prerequisites, login as root user with your root username & password via SSH client (e.g. Putty) or VNC console available in your Alibaba Cloud account dashboard. One Ubuntu 16.04 server with at least 2 GB of RAM, private networking enabled, and a non-root user. This can be set up by following the Initial Server Setup with Ubuntu 16.04. To find the cluster IP address of a Kubernetes pod, use the kubectl get pod command on your local machine, with the option -o wide. This option will list more information, including the node the pod resides on, and the pod's cluster IP. One way to debug your cluster DNS resolution is to deploy a debug container with all the tools you need, then use kubectl to exec nslookup on it. The cluster IP is highlighted above. Next we'll use nsenter to run dig in the a container namespace. That's all! In this way you can Inspect Kubernetes Networking on Ubuntu 16.04. For years, Kubernetes and its ecosystem have run large-scale infrastructures. This has translated into a unique approach to how to handle networking between containers and the external services that rely on them. In this article we've reviewed some commands and techniques for exploring and inspecting the details of your Kubernetes cluster's networking on your ECS instance.